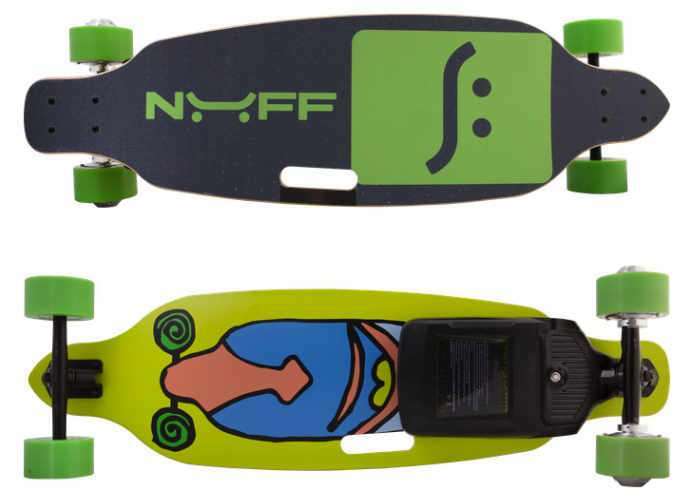 David Checker based in Irvine California has created a new electric skateboard in the form of NUFF, which is equipped and powered by a 2,000 Watt motor offering users a surprisingly affordable, and extremely fun electric longboard experience. Check out the video below to learn more about the new electric skateboard which is launched via Kickstarter this week with the aim of raising $50,000 over the next 30 days to go into production. If the campaign is successful shipping is expected to take place during June 2017 and pledges are now available for earlybird backers starting from $549. Watch the promotional video below to learn more about the construction and technology used in NUFF. Beginner or Expert? We have modes that are perfect for you. Our NUFF boards are beginner friendly as well as tuned perfectly for those who are experts and seeking that extra thrill. • Superior Mode : Finished with Beginner mode or are you an expert at riding skateboards? This mode is perfect for you! Our superior mode will give you higher acceleration while hitting a top speed of 24mph! For more information on the new NUFF electric skateboard jump over to the Kickstarter website for details by following the link below.